"Does the 20th Century need more songs, you ask? A good question! And one with an obvious answer: The Great American Songbook has been doing pretty well by itself all along (thank you very much) without any help from me." With this collection, I’m not presuming to be doing any more than humbly acknowledging a debt of inspiration to the canon of Mid-Century Modern works by George Gershwin, Jerome Kern, Cole Porter, Harold Arlen, Richard Rodgers and the rest. Since then, I’ve been recording versions of these new songs as interpreted by some amazing singers and players, including Bill Frisell, Branford Marsalis, Django Haskins, Skylar Gudasz, Don Dixon, Millie McGuire, John Brown, Kirsten Lambert, Matt Douglas, Nenna Freelon, Will Campbell, Wes Lachot, Scott Sawyer, Jim Crew, Dan Davis, Jason Foureman, Marshall Crenshaw, Don Dixon, and Peter Holsapple. The performances are gorgeously warm and evocative, sometimes minimal and stark, sometimes orchestral and sweeping. And the sonics are impeccable, from sessions at Mitch Easter’s Fidelitorium, Wes Lachot’s Overdub Lane, Brent Lambert’s Kitchen Mastering, and my own Modern Recording. * And with your help for the final final mixing and mastering, I'm going to finish these and then create two CDs, in a color digipak with liner notes and detailed credits, from all these great tracks. 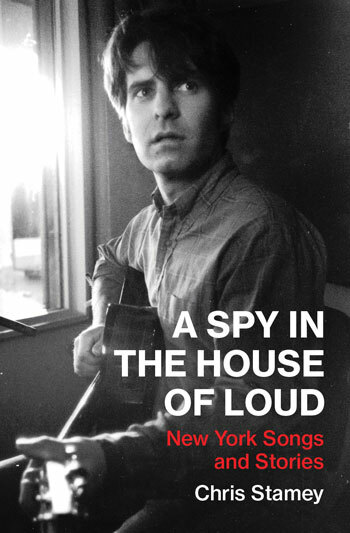 Chris Stamey’s A Spy in the House of Loud vividly captures the energy of the music scene in late 1970s New York City, as arena rock gave way to punk and other new streams of electric music. Stamey tells engrossing backstories about creating in the recording studio, describing both the inspiration and the harmonic decisions behind many of his compositions, as well as providing insights into other people’s music and the process of songwriting. "A Spy in the House of Loud is an endlessly fascinating odyssey through the worlds of Southern pop, New York City art punk, and American indie rock. Stamey's stories capture you with the same finely etched detail and emotional depth that have always marked his best songs. Both an engrossing personal memoir and an eye-opening peek into the creative process, this is a truly essential work of music lit." "Informed, eloquent, and daring, this book stands as a model of excellence for both music writing and memoir. Stamey moves effortlessly between analysis and reminiscence, history and personal revelation, shedding light on his own creative journey as well as the city— 'planet New York'—that provided a good deal of the inspiration for it. I simultaneously learned so much and was deeply moved." "This North Carolina outsider gets deep inside the coolest scenes— New York City, playing Max's and CBGB with Alex Chilton and Richard Lloyd, then spinning into the heart of 1980s alternative rock with the dB's and pals Mitch Easter and R.E.M., and on to Hoboken's glorious 1990s. 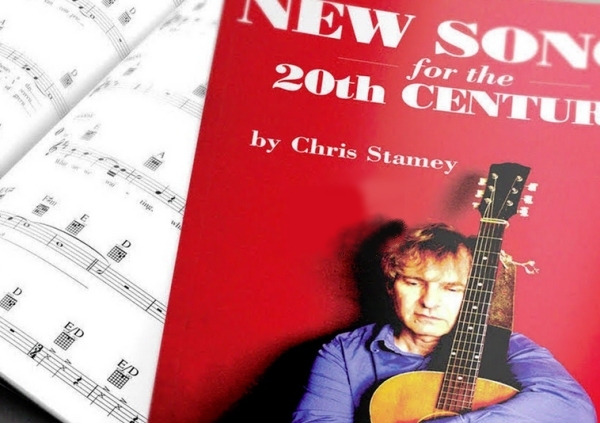 Stamey is a songwriter, musician, and producer, but this book proves that, paramount, he's a listener, and a damn good writer about what he hears."